I used to be quite fearful of florals. 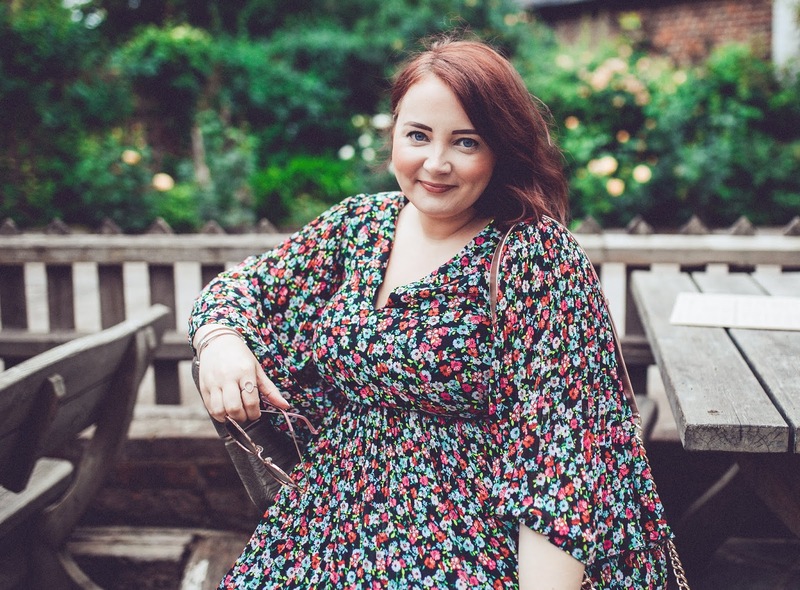 My days were spent justifying my knowledge and ability to men dressed in ill-fitting power suits, and to be honest floral dresses sub-consciously undermined what I had to say; I felt they were too feminine and too youthful to be taken seriously while wearing them, but over the last few years they’ve become a serious staple in my wardrobe. 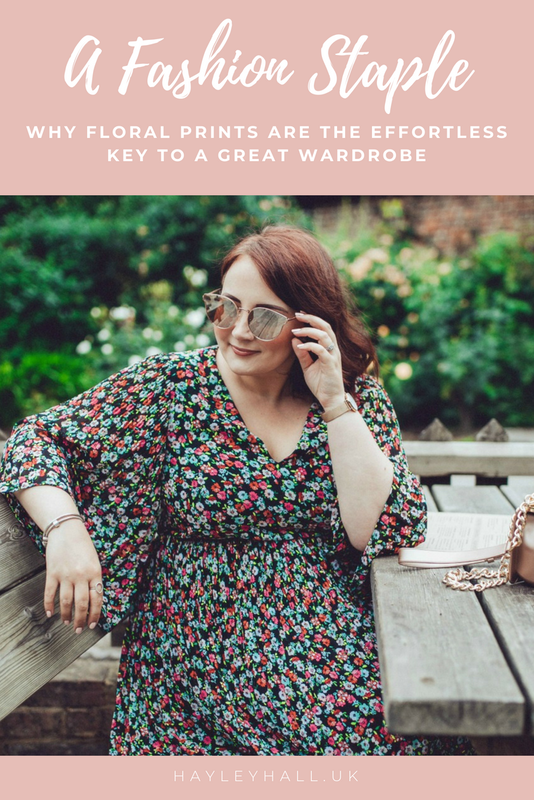 As my confidence and no-sh*ts-given attitude has grown, as has the desire to wear what I like when I like without any judgement. 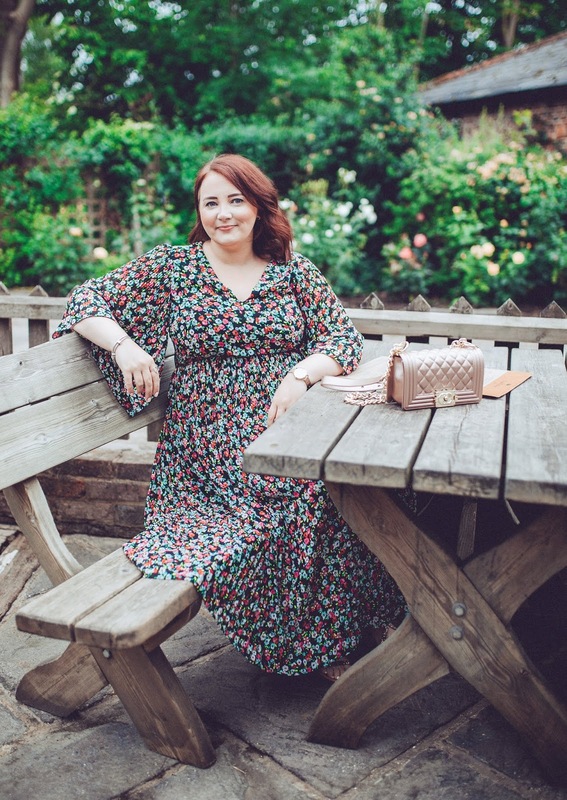 Just because I wear a nice floaty, floral and feminine dress doesn’t mean I’m any less capable or cut-throat, so those clean lines and elegant looks have started to be complemented with patterns that are fun and shapes that flatter. 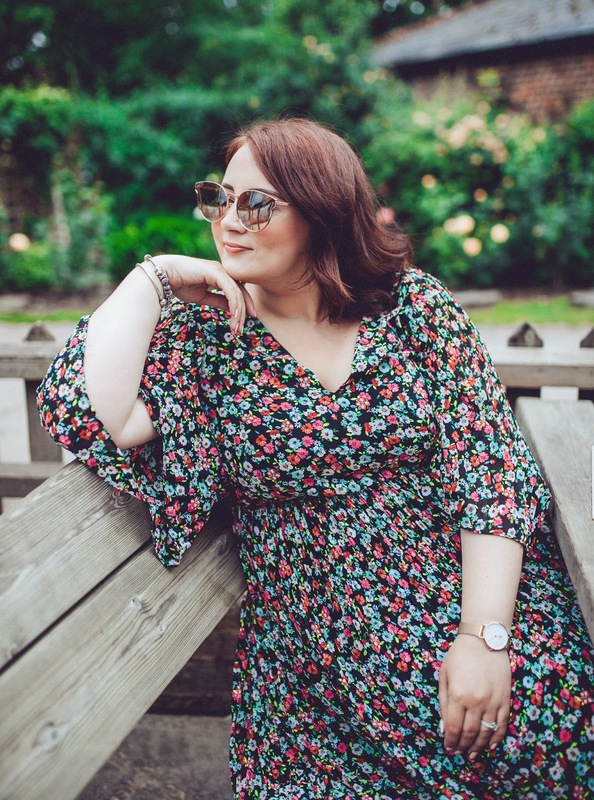 There’s something about a great floral dress that ensures it’s suited to practically any occasion, and a serious investment in your wardrobe. Take this cute H&M number that I picked up at the start of summer. 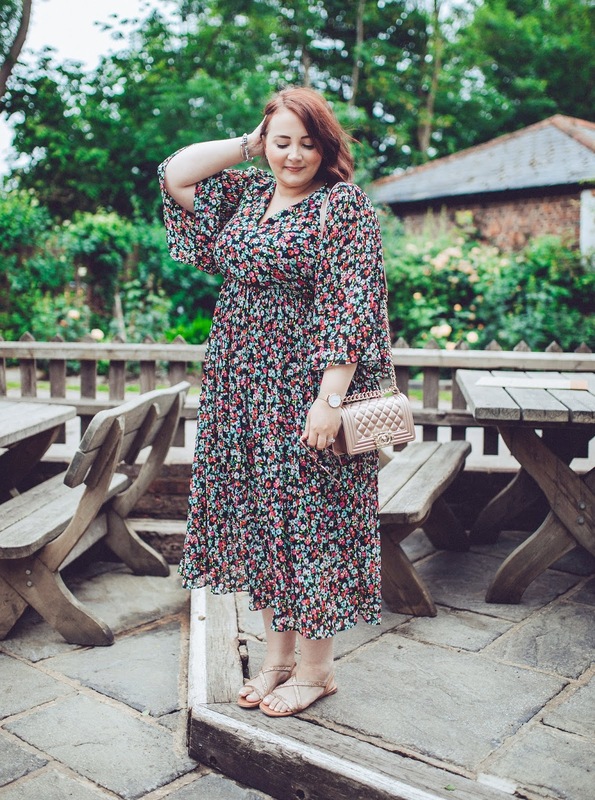 It wasn’t expensive (about £29.99 I think) but the ditsy print and black background keep it looking fresh, classic and wearable all year round; it’s just as easy to pop on a pair of sandals and wear it to lunch than it is to swap in some heels and a clutch for a wedding, because florals just work for anything. 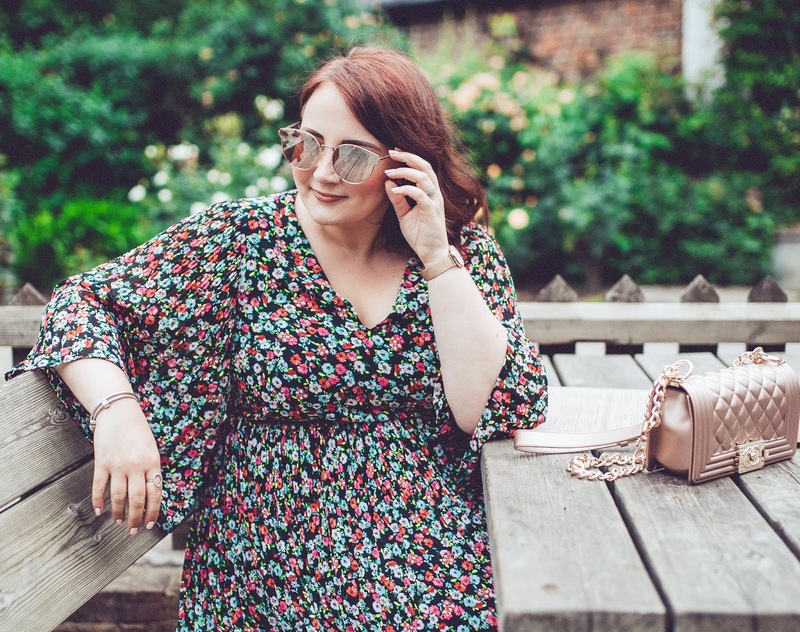 Right now I’m loving wearing it on its own and letting those beautiful bat-wing sleeves roam free, but I equally can’t wait to pair it with a biker jacket and pumps come the Autumn. 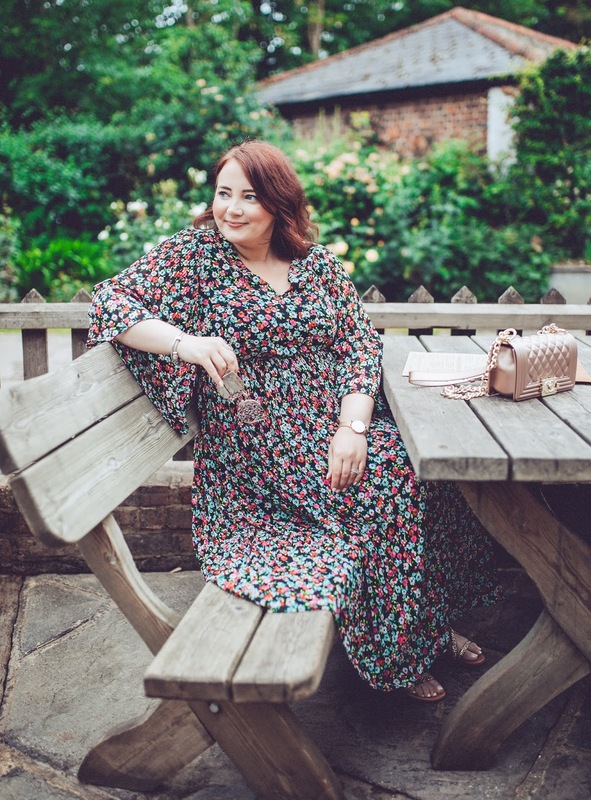 On those days when you don’t quite know what the dress code is, or fear turning up totally over dressed, florals will be your friend – they just seem to effortlessly fit into to any occasion and complement what everyone else is wearing. They’ve got my back every time. 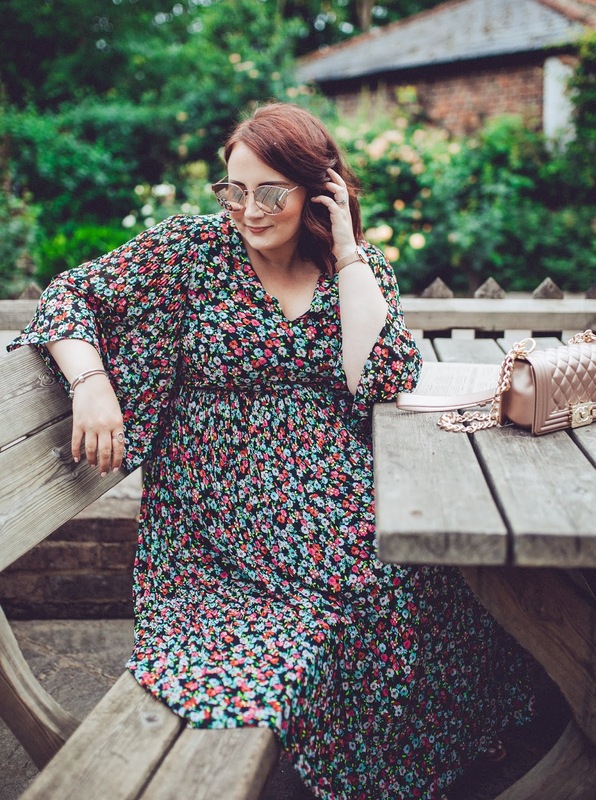 Are you a fan of florals as much as me, or do you avoid them for being too feminine? Next Post Will A Facial Toner Really Make Your Skincare Routine Ten Times More Effective? Thank you! It's one of my faves at the moment – so floaty and cool for the heat too. You're too kind! H&M is so annoying – the stock goes in and out so fast, you can hardly ever find the right thing in the right size! I love this length on you, and the print is lovely! I'm all for florals too, mine tend to be larger scale even though these arent supposed to work om my short arse frame, but somehow they do! Who cares about 'what works' eh? Wear what you love! 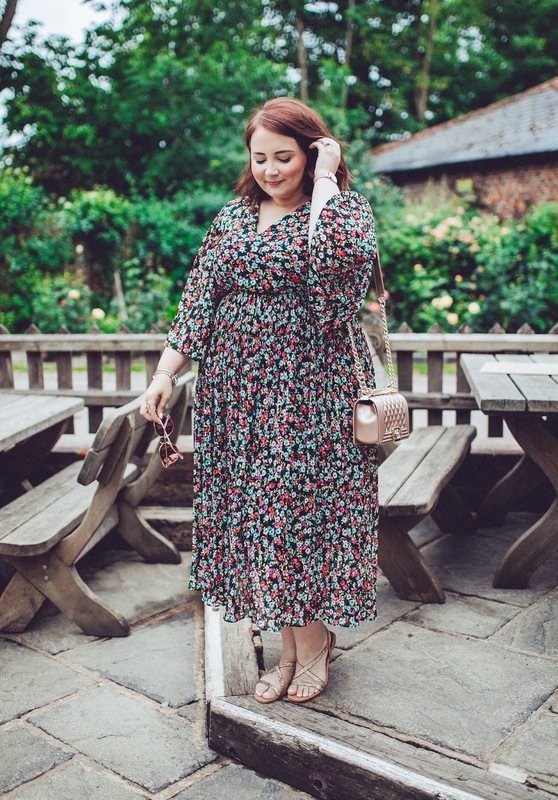 I feel like florals work for everyone, no matter what form they come in.